I started watching them months ago on You Tube and they are now on Disney Junior. 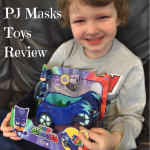 A brand new range of PJ Masks Toys has come to the UK, and I am the luckiest boy in the world as I have been sent some to review. 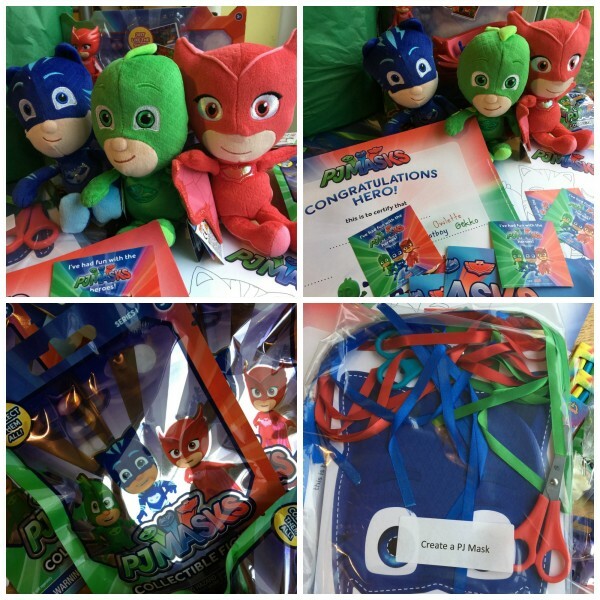 I have also been sent an awesome party pack to hold a PJ Masks party with my friends – which I will do when I am better and over my chicken pox / cough and cold. 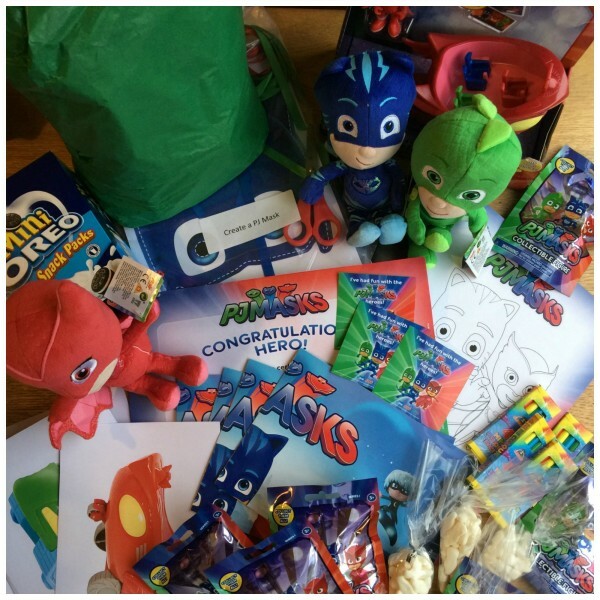 The most exciting news is that Mummy is co-hosting a Twitter Party on 1 March 4pm – 6pm and you can join in the the hashtag #PJMasksToys to win all sorts of cool prizes. 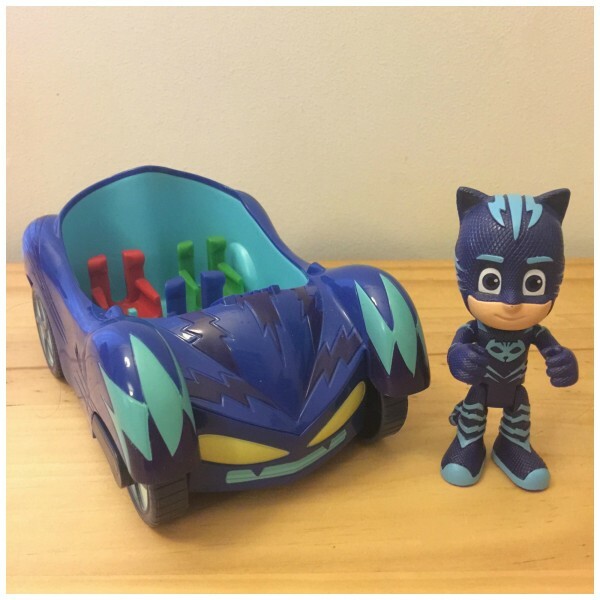 So, what do I think of the new PJ Masks Toys? 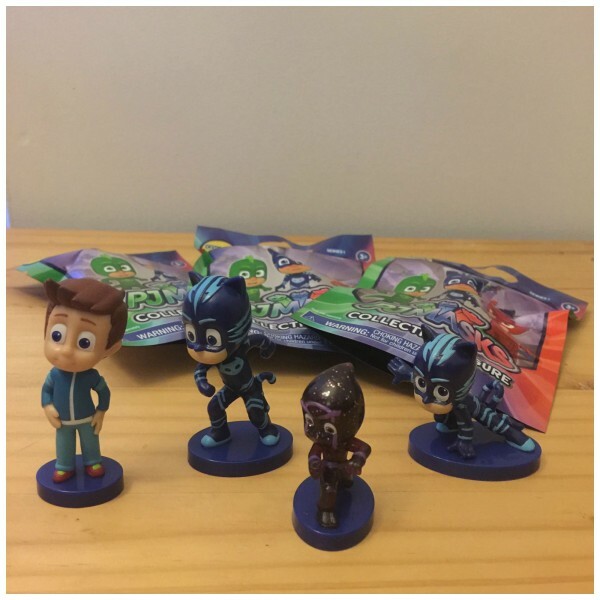 There are blind bags with all the main characters to collect – Mummy had bought me some a few weeks ago, I love blind bags and guessing who is inside! They are £2.49 each. Guess what? The figure of Connor is super rare – and I got him! 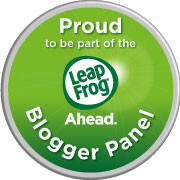 I have been sent Owlette’s Owl Glider, Gekkos Gekko Mobile and Catboys Cat Car – each comes with the character too. I love them. 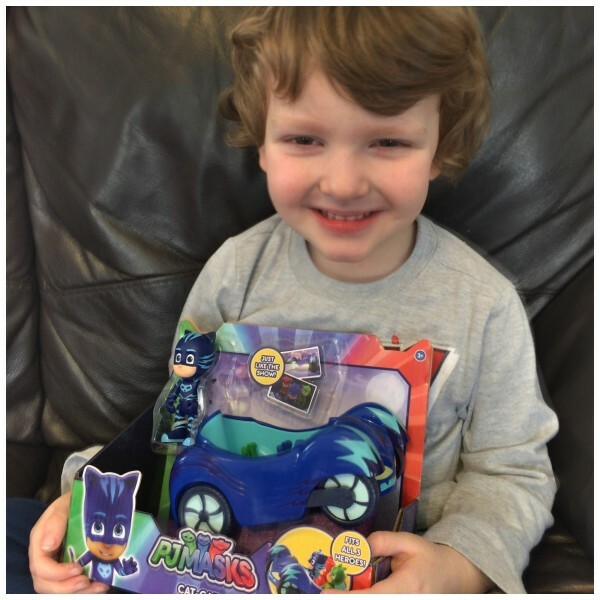 The characters are just like the real ones and the vehicles are fab – each has three seats so all the heroes can travel together. They are £13.99 each set. 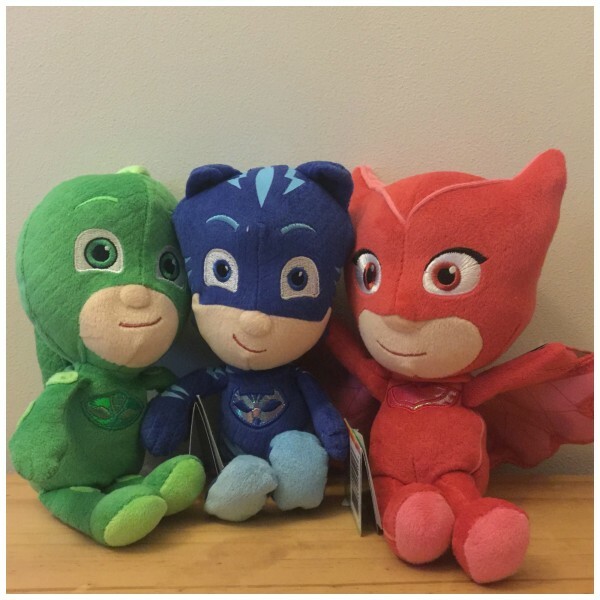 Aren’t these soft toy PJ Masks characters super cute? I love them so much. You can buy them for £8.99 All the toys I reviewed are suitable for ages 3-6 years. You can also get their arch enemy Romeo! The toys launched in the UK at the beginning of February and look out for the Deluxe Vehicle Set available from Argos. There will be more toys added to the range later this year too. 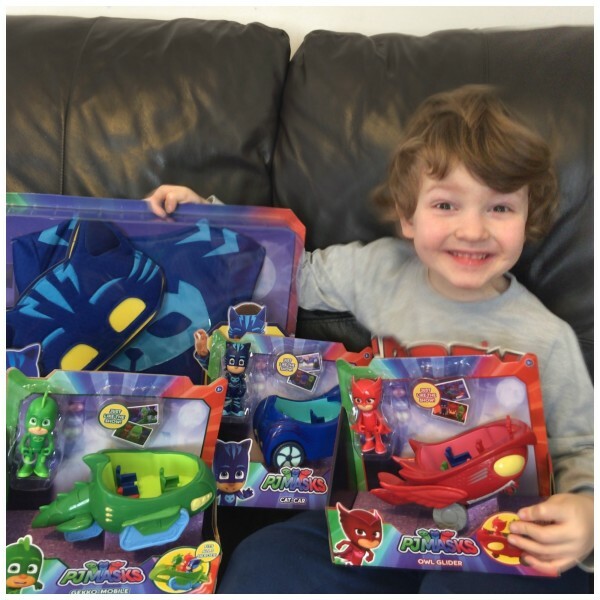 The toys are all from Flair PLC and you can see the latest PJ Masks info on the PJ Masks website. 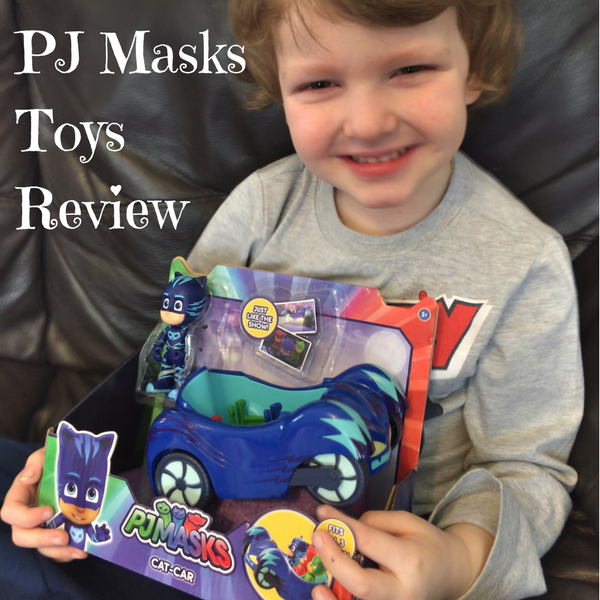 We hope you enjoyed our PJ Masks toys review! Are you fans? OMG I did not know there was PJ mask toys out yet. My little fella would lose his life for these. 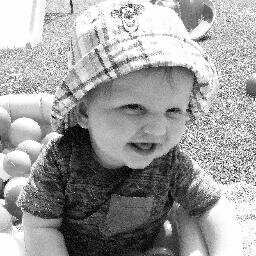 Your little one looks chuffed with life! Aww these look fantastic! 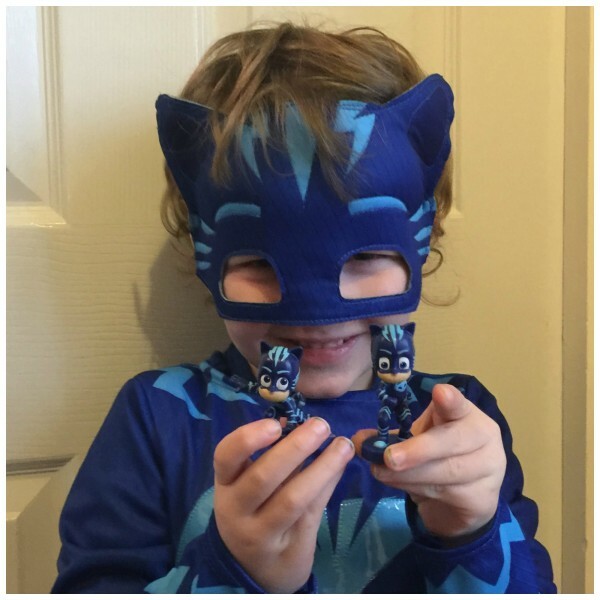 My little ones would love these as they are huge fans of PJ Masks! They have the little characters in cars, but fancy dress would be amazing! 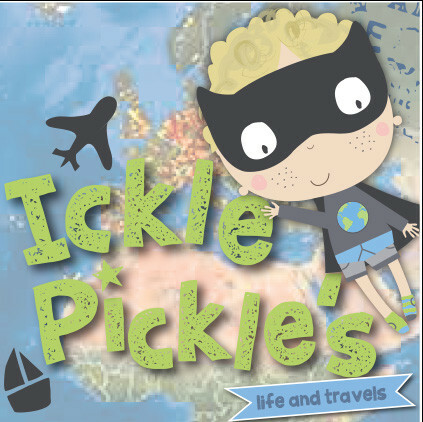 Sarah recently posted…Visiting The Smallest City In England! I bet you love playing with these toys. I love superheroes too. When I was a little girl, I loved the Power Rangers! I haven’t encountered these before, but these tie-ins look fab! A great variety of toys. Thanks for the review! 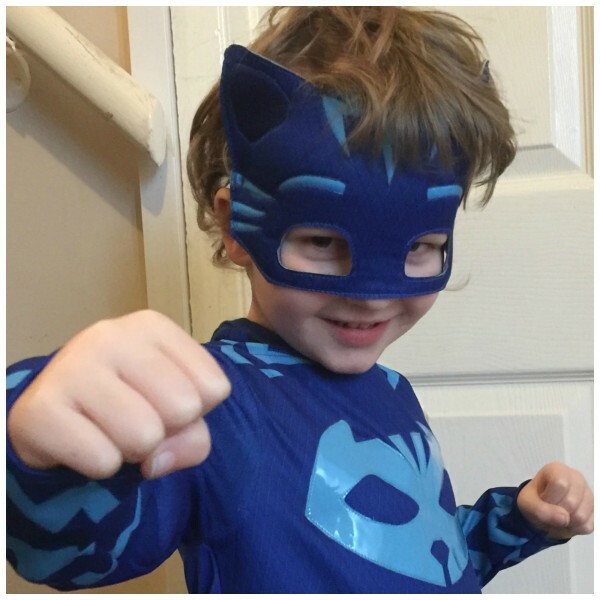 Looks fab, my daughter loves PJ Masks! These look so much fun, especially the dressing up. What a lucky boy. We recently bought the cat mobil. He loves it. These look so fun! My nephew would absolutely love them. What a lovely little lad you have there. 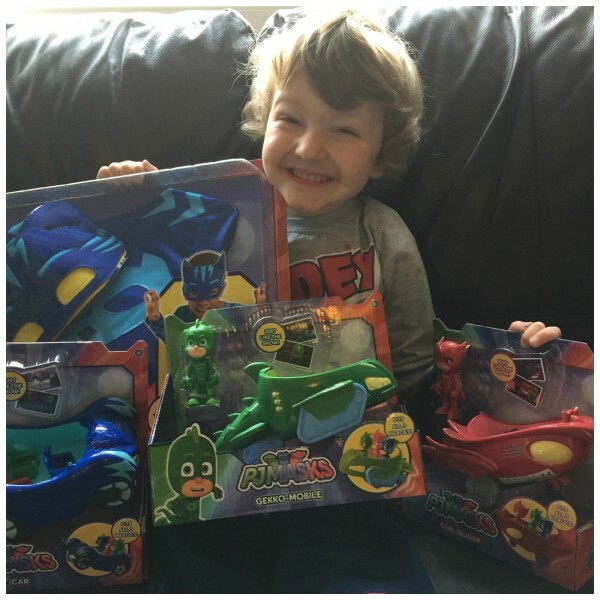 He obviously loves the toys, his smile speaks volumes! 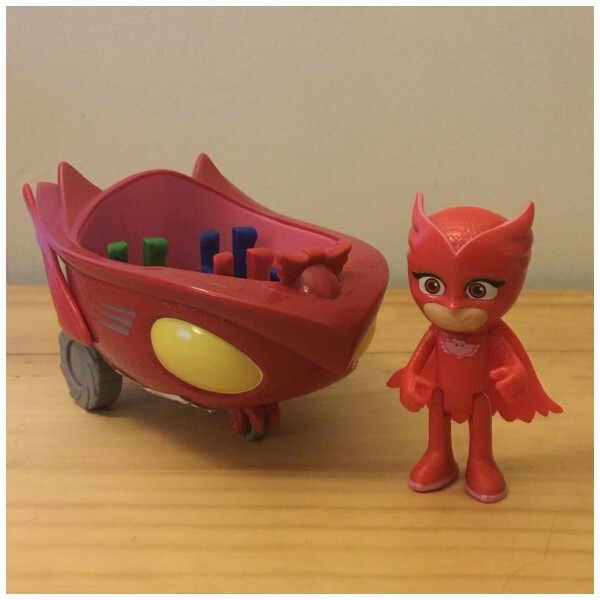 These sound great, my little girl lives PJ masks, especuly owlet. 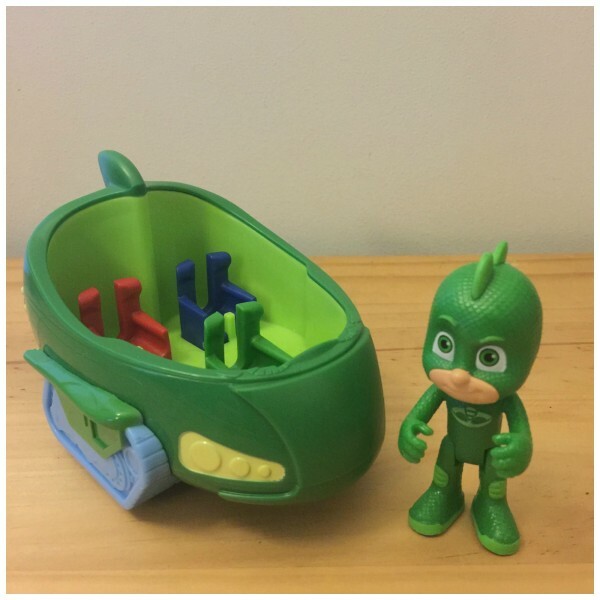 I’ve never actually heard of PJ Masks. These look so good though – that cat boy costume looks awesome!